Think outside the square box! 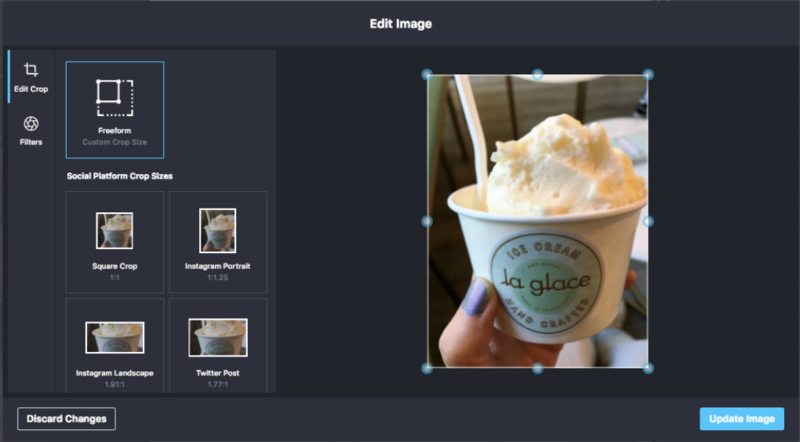 Now that Instagram supports this format, you can crop your photos into Landscape, Portrait and Square modes from Later on the Web or the mobile app. There are also crops for Twitter and Pinterest! Important: To schedule and publish non-square Instagram images on Later, make sure your Instagram app is up to date. 3. Edit the crop by clicking Edit Crop button in the top left of your image. 4. Choose Square Crop, Instagram Landscape, Instagram Portrait or Free Form. If you're scheduling for Twitter or Pinterest there are crops available for those posts too. 6. Add your captions and hashtags and click Save to schedule your post. 7. When the time comes, post it to Instagram as normal! Note: Image rotation is currently not available within Later. Once your picture is in Instagram, you'll have the ability to edit and rotate it! Want to learn how to use Later's Photo Filters on your posts? Check out this handy guide.